Lantek Analytics presents manufacturing and customer KPIs in a graphical interface that allows quick and accurate decision making. Manufacturing Analytics offers KPIs such as equipment availability, OEE, parts produced, percentage of good parts in a certain period, percentage of remnants over total raw material, stock status, and weight of parts produced. 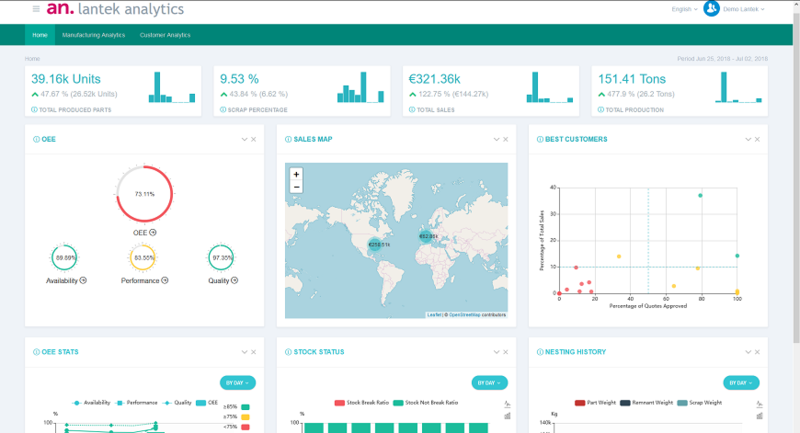 Customer Analytics offers KPIs such as accepted quote percentage, best customers by accepted quotes and margins, deviation from estimated costs, and history and location of quotes. Both modules are highly customizable to meet any shops’ reporting needs. The cloud-based platforms keep new hardware cost minimal. They provide increased security and accessibility while simplifying installation and maintenance. Metalshop is an online supplier interface that enables customers to login, submit a request for quote, and place an order. Customers simply upload the part geometry and select material, quantity, delivery date, and delivery method. 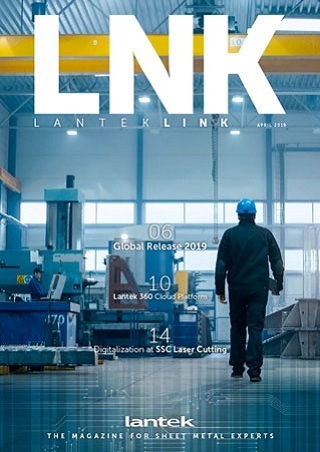 Lantek then performs a series of automated tasks to calculate cut time, material cost, stock levels, and the necessary margins. Queries are also made to the supplier’s MES to check work levels in the workshop and schedule cutting plus other operations to meet the deadline. Interested in a live demonstration of our new platforms? Visit booth B6543 at FABTECH to see Lantek in action.